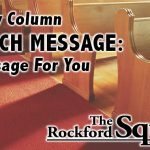 I recently began serving as pastor at Rockford Reformed (RRC) and after growing up in small-town Iowa and then recently living in urban Grand Rapids for 21 years, it has been a delight to inch my way in as a member of the Rockford community. Our family has enjoyed running into friends while making our way through the parks, the market, bike trail, and the quality, small-town shops and restaurants. There are many opportunities for our almost-four-year-old granddaughter and people of all ages to put on a smile. At the same time, throughout our community, there are struggles and sadness—sometimes underneath those smiles. These struggles include loneliness, rejection, hunger, broken/strained relationships, illness, abuse, or failure at work/school. 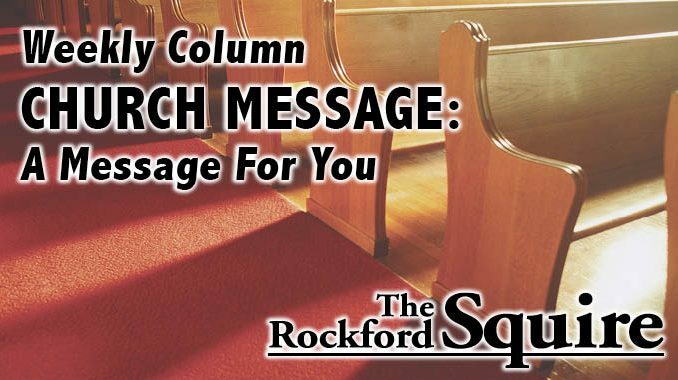 And so at RRC, we pray for you and worship a God whom we know weeps with us in our struggles. Jesus hates the effects of sin in our lives and community more than we do and that’s why he did something about it. Tim Keller has said, “Tell me about the God that you don’t believe in because I may not believe in that God either.” We sometimes think of God as the lawmaker and enforcer who is anxious to pounce on us with judgment. God is indeed holy and a just judge. We need him to be the judge who will one day make all things right again. But he is also a God who loves us enough to send his own Son to suffer the penalty for our sin through his death on the cross. Jesus was rejected by the people and on the cross, even abandoned by his Father in heaven, so that we can be wonderfully accepted by our Father in heaven. Jesus suffered deep grief so that we can know eternal joy—even through the worst of our struggles. The acceptance God extends to us is based on what Jesus has done—not on anything that we do. Throughout our lives, we are rewarded or punished for our performance. You get A’s for hard work in school and maybe get fired for sleeping on the job. But with God, we have “nothing in our hands to bring, simply to his cross we cling.” Jesus has lived the perfect life that God’s law demands and presents that righteous life to us as a free gift. We are learning and making progress toward a sacrificial love that will bring healing and grace to our community—so that there can be a deep joy that transcends the struggles. And we point upward to the Savior who sacrificially loves and intercedes for us—every day.